Star System With The Three Earth-Sized Planets Is Discovered: Scientists have discovered two new planetary systems, one of which hosts the three Earth-sized planets. 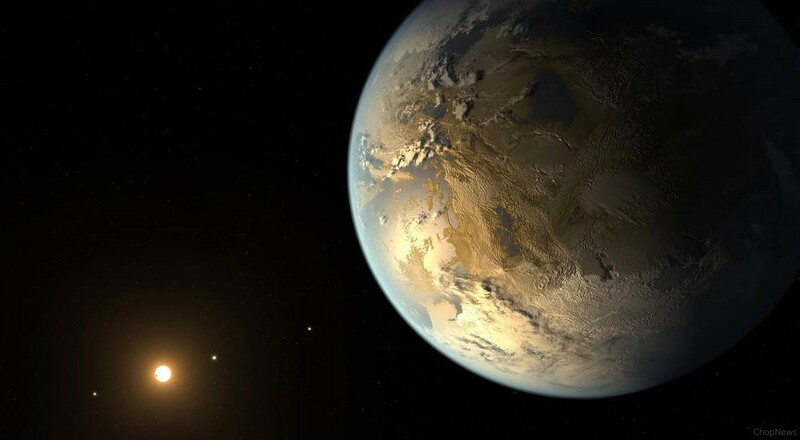 Researchers from the IAC and the University of Oviedo in Spain analyse the data collecting by the K2 mission of NASA’s Kepler satellite, which is started in the year November 2013. The study, publishing in the journal Monthly Notices of the Royal Astronomical Society, reveals the existence of the two new planetary systems detected from the eclipses and they producing in the stellar light of their respective stars. The first exoplanetary system is located in the star K2-239, which is characterise as a red dwarf type M3V from the observations which is made with the GTC, at the Roque de los Muchachos Observatory. It is located in the constellation of the Sextant at 50 parsecs from the Sun at about 160 light years. It has a compact system of at least three rocky planets of a similar size to the Earth that is 1.1, 1.0 and 1.1 Earth radii. The orbit star every 5.2, 7.8 and 10.1 days, respectively. The other red dwarf star is called K2-240, has two super-Earth-like planets about twice the size of our planet. The atmospheric temperature of red dwarf stars around which these planets revolves is 3,450 and 3,800 Km respectively, almost half temperature of the sun. These researchers estimate that all planets discovered will have the temperatures tens of degrees higher than those of Earth due to the strong radiation they receive in these close orbits to their stars. The Future observation campaigns with the new James Webb space telescope will characterise the composition of the atmospheres of the discovered planets. Spectroscopic observations with the ESPRESSO instrument, which is installed in the Very Large Telescope, of the European Southern Observatory, or with the future spectrographs in the GTC or in some new astronomical facilities, such as the ELT or the TMT. It will crucial to determines the masses, densities and physical properties of these planets. So, these are the points to describe on the Star system with the three Earth-sized planets is discovered. Please viewpoint your comments on the above mentioned Article.